Finally! 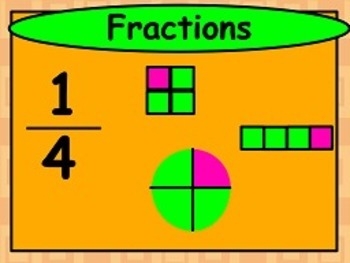 Common Core for the Promethean Board! 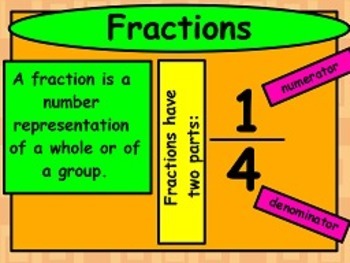 This packet was designed and put together to help the classroom teacher teach and practice the Common Core Standard: NF.1 "I know that a fraction represents a part of a whole/group". Flipchart 1: Covers the standard by introducing key math vocabulary terms. Title page with the standard number on it. Objective slide for the students to read aloud. Several "teaching" slides to cover the topic. 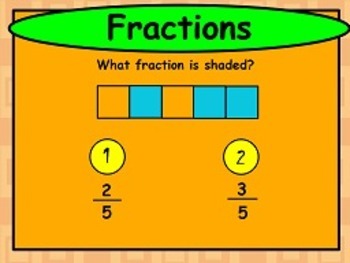 Several "practice" slides to use as interactive slides or whole group discussion. The objective slide is shown again at the end of the lesson to "wrap things up".